Join our BBU Barter Network Community! Thank you for your interest in Barter Business Unlimited, Inc! We'd love to answer any questions you might have, so please take a moment to complete the form below. You'll be contacted by one of our Barter Professionals who will answer any questions you may have, help you assess how barter can benefit your business, and assist in completing the enrollment process if you'd like to join. 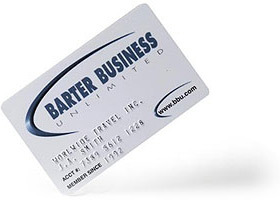 By bartering goods and services within the membership network, Barter Business Unlimited also helps businesses increase sales, build customer loyalty, and tap into new markets, all while conserving cash flow. Do you want to increase your sales? Need to move excess inventory? Want to save vital cash reserves?